Britain’s equivalent of the FBI has been condemned by judges after a sophisticated bugging operation against alleged money-launderers descended into farce and a series of ‘grave failures’. The National Crime Agency deployed 100 officers in 30 cars to seize the bosses of a company in West London under investigation. While the suspects were being interviewed at a police station, NCA chiefs hid listening devices in their offices. In a plan that has echoes of the hit US drama series The Wire – in which detectives use bugs to bring down a drugs gang – the NCA hoped that the suspects would admit their guilt while discussing their arrests. But the NCA broke basic laws on search warrants and surveillance bugs during the raid because of the ‘ignorance’ of its senior staff, according to two damning rulings. Last week The Mail on Sunday revealed a leadership crisis at the top of Theresa May’s flagship law enforcement agency, with seven out of 17 directors quitting. A separate report published last week reveals outgoing Director-General Keith Bristow is ‘shocked’ at plummeting morale within the NCA, while budget cuts mean the agency no longer has officers listening to phone taps overnight. The bugging operation was outlined in legal documents which showed that the NCA swooped on the alleged money-laundering gang on January 28 as part of an investigation called Operation Heterodon. Senior officers believed there was a link between five men, three of whom are brothers who arrived in Britain from Uganda in the 1970s, and others who were ‘known and suspected money-launderers’. The plan, according to judges, was ‘to arrest the suspects in a deliberately boisterous way’, and while they were being held at a police station, ‘to place covert surveillance devices’ at their head office in Ruislip, West London, which they claimed was ‘at the hub of this criminal activity’. The judges described how ‘about 30 vehicles with about 100 men’ were deployed ‘for the purpose of effecting the arrests, executing the search warrants and taking the opportunity to deploy the covert surveillance devices’. Officers also searched the suspects’ homes, which ‘culminated in wedding rings and other personal jewellery of the suspects’ wives being seized’. After being questioned briefly, the suspects were released in the hope that ‘they would have conversations with each other or third parties that would evidence, if not conclusively confirm, their part in the suspected money-laundering activities’. About a third of the officers on the raid were ‘trainee investigators’, according to the High Court, while the seizure of evidence was ‘haphazard’. The NCA surveillance officers then heard the suspects planning a ‘sweep’ for bugs. In response, they removed the devices during another search a week later. The next day, February 6, the suspects began legal action, asking for the NCA to stop using the material seized under the search warrants. In a Divisional Court case in May, judges ruled the arrests had been lawful but that the search warrants had been unlawful. They said it was ‘disappointing and of great concern’ that the NCA officers had not ‘understood the basics’ of rules governing how search warrants are to be obtained from magistrates, and the ‘procedure went very wrong’. 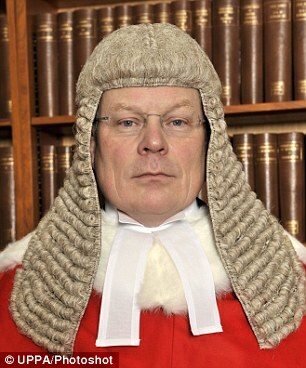 The NCA should have known legally privileged material would be found and so should have applied to a Crown Court. It also failed to disclose that the reason for the search was to plant the bugs. In any case, it then ‘ignored’ the restrictions of the warrants and gave the officers ‘carte blanche to search for and seize any and all documents’. The suspects then brought a separate claim to the Investigatory Powers Tribunal and in a ruling published last Monday, judges agreed that the NCA had erred over the planting of the bugs. Due to the obvious risk that legally privileged material would be overheard on the devices, the NCA should have given its true reasons for the plan to the Surveillance Commissioner, who had approved the operation.